Google Hand Editing "Search Engine Optimization" for PPC? Wow My Alexa Ranking is Great! Should I Trust It? In the past I did not write in my ebook about somethings I did not care for much. I never really mentioned Alexa because I did not view it as a big deal. An epiphany hit me that I should state why I did not care much for Alexa stats. Over the last few days my Alexa has doubled from around 13,400 to around 6,800. Wow I am great. Not really! Many new webmasters get information from each of those channels. Just a few people from each browsing my site with an Alexa toolbar caused the rankings to nearly double, which is a huge change on a logarithmic scale for a site in the top 10,000. Traffic has not changed much, sales are about the same, and if you looked just at Alexa things would look a bit brighter than they really are. A lower Alexa number means a greater level of traffic, and the traffic drops off logarithmically. You can fake a good Alexa score using various techniques, but if it shows your rankings in the millions then your site likely has next to no traffic. Alexa by itself does not mean that much, but it simply provides a rough snapshot of what is going on. It can be spammed, but if a site has a ranking in the millions then it likely has little traffic. It is also hard to compare sites in different industries. For example, if I created a site about weight loss there would be many more people searching for it than a site about knitting. Also, you shouldn't forget the webmaster bias the tool has, which means my site will have a higher Alexa rating than it should. Alexa rankings are more useful for gauging your own traffic building campaigns. They're not very useful verifying another site's traffic since they're easily manipulated. 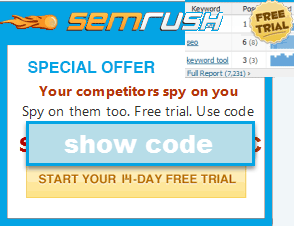 BTW, you can easily achieve a ranking of 300,000 just by surfing your own site everyday with the toolbar activated. PageRank and Alexa rankings are very overrated in my honest opinion. But it gives marketers a selling point and basically eye candy for the webmasters who are not in the "know"
In my opinion if I was rankeed in the 3Millions and a PR0 yet my sales conversion ratio was 1 out every 5 visitors I would really not care. Would you? Its quality over quantity and people cannot get this out of their heads that the "hits" the "unique's" and overall traffic must be high to be successful. While this is somewhat true the fact remains is if your brought a quater of that but the quality was higher you would see better results. One can also make the arguement of sheer volume and masses which is valid. But I would much rather not sift through millions of garbage visitors if I did not have too. I don't think alexa ranking has any meanful value, my website had an alexa ranking of about 1200 when it was only 3 months old and with no more than 300 visitors per month, and now it has dropped to 6 800 000 alexa ranking, with more than 4000 visitors per month, does this make any sense? No, but it tell me one importing thing :alexa ranking is a complete rubbish. ...that during the famous quarterly Neilsen sweeps, that only a minority of questionaires are atuallly completed and returned, leading to sampling bias. "Memory bias" is also introduced since they are not completed in "real-time." Yet networks place all their BLOCKBUSTER shows to boost those ratings artificiallly. And TV advertisers, yup, spend billions. No tool is perfect. But if you know how to interpret through the weaknesses, you can get a world of useful info from Alexa. Alexa has the lowest statistical error, since it has by far the largest sample base generating data for it (10,000,000). I don't think it is that hard (as indicated from my above example). Surprise! They are not all Net marketing sites. That comparison does not do much for most sites, as you even state that the results are far more relevant near the top. I'm glad you agree with most of the article. Alexa really does provide a wealth of superb information, as long as you know how to interpret it. 1) I know Hitwise and they are superb. Although they are vague about their methodology, my guess is that they do reduce bias. But it's only a guess as I have no idea exactly what they are doing. They claim confidentiality agreements. However, I'm not comfortable with the significance of their 25 million Internet users... are they unique users? How would you know? Is it based on the number of customers that each ISP claims to have. None of that is clear? And they track 500,000 sites. Which ones? Why? It's hard to comment on sample size without knowing exactly what the numbers mean. They aren't clear on that. You didn't compare price, Aaron. How much would it cost me to have reports on hundreds of URLs that I might check in day? I note the Alexa on every site I visit and it gives me a very quick ballpark idea, has proven invaluable in my net-wanderings. How much would that cost? This is a BIGCO tool, not one "for the rest of us." SiteSell gets calls every week from junior people at major VCs who troll Alexa (they don't get past support or the receptionist -- we are not for sale). So they use Alexa in the same basic way... it really is a great "big picture" tool. Used well and for the right reasons, it's invaluable. Aaron, we're mostly on the same page. I hope you don't consider me one of those hucksters. We work really hard to help our small business clients succeed. And Alexa is a great way to objectively show how they do outperform any other small business Web host. No problem. I have seen your name around on more than one occassion. Usually after well known marketers get to a certain level of success they don't actively participate in markets anymore other than to sent out emails about how rich they are and how others can do the same. It is a testament to your good marketing for you to be able to track and comment on things so quickly IMHO. If your product teaches your customers to track the markets as well as you do then that is great. >It's hard to comment on sample size without knowing exactly what the numbers mean. You can't prove that it has the lowest statistical error or largest sample base. >You didn't compare price, Aaron. I know I did not, but to say that Alexa is has the lowest statistical error and largest sample base is telling half the story. It discounts competing products without proof. Perhaps you can run a split test between the two. You are already comparing real traffic to Alexa rankings anyway. Add another row to that database. It might cost $50,000 or something to access that data, but if you were the only one who spent that and did that a/b test some of that spend would come back in marketing as that information is something many people would want to link at / cite. I spoke to some VCs about them buying a search engine, as well as a few others. Anywhere they think they can get unfair access to data those guys go after it. They are aggressive. >we drop the ones who "fluke" into the Top 500K without traffic to back it up. And we drop many others that don't make the grade for a variety of other reasons. The fact that some do "fluke" in there shows that there are some accuracy issues. In the same way that HitWise has access to far more data than the average webmaster so do you. It might show some good big picture details, but the granular level details are just not there IMHO. >I hope you don't consider me one of those hucksters. We work really hard to help our small business clients succeed. Naw. When I think of the hucksters I think domains like "automated-cash-cow-email-bankroll.com" and people who spam away at the inbox promoting how rich they are, etc etc etc. Alexa is really inaccurate. As a CEO & Webmaster I've been watching it closely for a couple years now. I track my own stats and I can have a 20% increase in traffic over a week, and my alexa will drop to non-existance. That happening just once shows me that the reporting there is no where near accurate. Case in point. I can be ranked 50-60k overall for a week.... increase my traffic (page views and uniques) and then drop out of the top 100k totally. I can't believe anyone would compare website surfing to watching TV. Alexa is like surveying people who watch programs using only Sony TVs. How is that an unbiased demographic? I saw your notice: "Please leave useful relevant non spammy comments below. It is in your best interests to not spam this blog." It looks like the above post from N&C might be classified as spam. Or will you just let it sit there and let them shoot themselves in the foot? What makes me wonder about Alexa is their Way Back Machine. Its amazing to see how a site transformed from nothingness to something to unique. Whether or not Alexa ranking is going to rake up ad revenues, surely it would help the webmaster & the user. I appreciate Ken & Aaron for their worthy discussion about Alexa. I can offer up a very clear example of the skewedness of Alexa's rankings once you drop beyond the most popular sites. Earlier this year I put a tool on my blog that is getting me almost all of my traffic. At one point, Alexa ranked me around 50,000 for a while. A couple of months ago, after my traffic doubled, I had mysteriously dropped to about 350,000. Today, with yet more visitors, I have apparently dropped out of the one million most visited sites, according to Alexa. I just take it as a compliment that the vast majority of my visitors are so web-savvy that they would not touch the toolbar. Great post and comments that follow. Despite Alexa having it's known flaws, many people still rely on Alexa Stats for measuring website traffic. I do believe there is a place for Alexa, such as seeing your own websites growth over a period of time, and how you compare against competitors. In terms of buying ads, solely based upon Alexa Stats is questionable. At the end of the day, it's another tool in the toolbox that comes in handy every once in a while. Do NOT use alexa toolbar! Beware if you are using Alexa toolbar... I just found out recently that pages that I visited, including the search terms and words that I entered in websites (as it becomes part of URL) is indexed and made available to public via archive.org. I sent emails to Alexa to inquire why this occurs, but they basically do not respond. Their phone number only gives me recorded answering machine. My exporter directory website have made good progress in Alexa ranking. I am looking forward to reach in the first 50000. Alexa rank of my site wirelessgalaxy.com has jumped to 48000 whereas it was around 80000 yesterday.yahoooooooooooooooo!! Are there other quick and easy methods to use? Alexa Ranking "How Low Can You Go"? I was always aware of the alexa ranking system. Although I never really gave it much thought. But today I decided to check it and I am currently at 454,210. Is this a good ranking? As mentioned in the above post...Alexa is not a great measure. It is far better to look at traffic and revenue as measures of success. I have a web design blog splashmagazine.com and I have been thrilled the past week because my Alexa rank has been dropping daily. My traffic is also increasing, but I'm interested in learning more about Alexa and measuring traffic. Do you have suggestions for up to date reading? There is really no point in arguing that Alexa is a poor measure of real, actual traffic. The fact is Alexa is an industry standard used by marketers, investors and potential partners to measure the value of a website. Until their perception changes, then Alexa rules. Alexa.com website owned by Amazon which is really trusted and the other one too, is a Tool which I had the Joy to Enjoy! for Free for a While, I guess that I had the chance to interact with the Tool 100%, you link submission is going to be index with or without the Toolbar the only thing that change is the time matter. Brief, somehow complete but you have to pay now, I tried a month free and it still don't give you all the facility as it used too, remember the old site idea, Please give me Free Subscrition to Alexa, very much appreciated.